A referendum on changing BC’s voting system to proportional representation could happen next year, if an electoral reform bill introduced by the new BC NDP government passes. The bill, entitled Electoral Reform Referendum 2018 Act, is part of the deal made between the BC NDP’s confidence and supply agreement with the BC Greens. “Today we have taken the first step toward asking British Columbians if they want a change from the current voting system,” said Attorney General David Eby in a release. The act would allow for a province-wide referendum on a system of proportional representation, through a mail-in ballot, in November 2018. For the referendum result to be binding, it would need to garner 50% of the votes plus one more, to give it a majority of support. Ahead of the referendum, the act would require the government to engage the public in the issue and provide education on different voting systems. If the new voting system is approved, the act would require government to implement it ready for the next provincial election, set to be called after July 1, 2021. However, under the act, any provincial election called before that date would operate according to the usual first-past-the-post system. 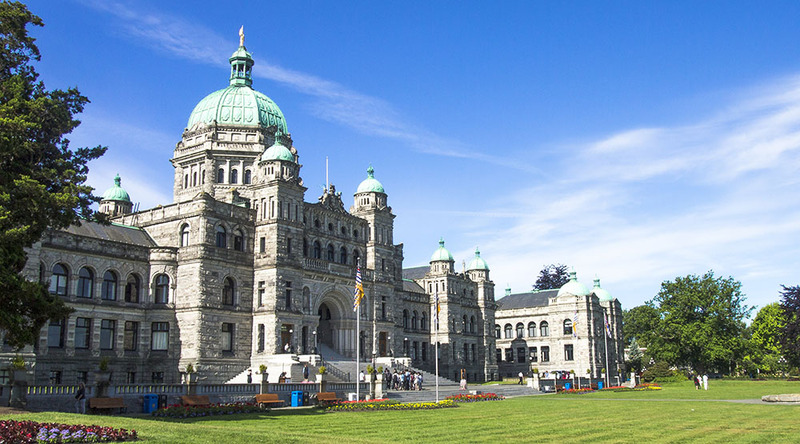 The BC government has also put forward a bill to address the issue of the threshold for official party status in the legislature. Currently, the BC Greens have three seats, one shy of the required four seats which would grant then recognized political party status. Under the Constitution Amendment Act, the number of seats required for recognized political party status would be reduced from four to two. This would give the BC Greens access to “legislative tools” that are currently only available to members of the BC Liberals and the BC NDP. These include guaranteed membership of a party member on the Legislature’s Management Committee, and extra speaking time in the Legislature. In a release, Weaver said he was “delighted” the Constitution Act would be amended to recognize his party properly. “When MLAs are elected under a shared party banner – whether they are two or 20 – they are a party and that should be represented in the legislature,” said Weaver. In a separate release, BC Greens MLA Sonia Furstenau said she was “deeply encouraged” by the government’s bill to allow a referendum on proportional representation. “Proportional representation is about making sure every British Columbian’s vote counts,” said Furstenau.